The first thing you notice when the plane lands in Antofagasta is that there is no vegetation on the landscape that hasn't been planted there. This is because rain in Antofagasta is extremely rare, averaging less than 4mm a year with recorded rain free droughts of over forty years!! (Vargas, et.al., 2000) Instead, it is the brightly colored houses and shops that bring color to the landscape. Antofagasta is a prominant port town and has a population of over a quarter of a million people - the fourth largest in Chile. Because of it's proximity to the mines, much of the economy in town is in support of the mining industry. Eighteen kilometers north of Antofagasta is the famous La Portada (which means The Portal or Gateway in Spanish). La Portada is a 140 foot tall archway of sandstone (resting on top of the La Negra) formed from continuous marine erosion of the shorline cliffs. The sandstone cliff walls are layered with an ancient densely packed layer of shells. 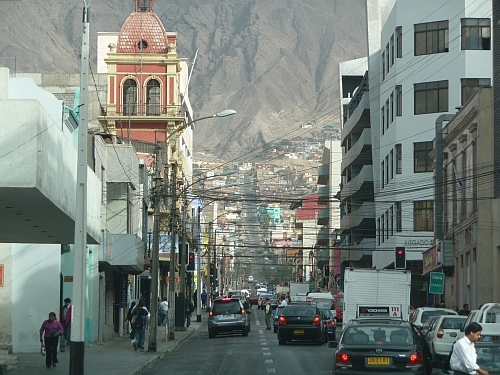 Our goal in Antofagasta was to get supplies and rent reliable transportation. Hertz was in town and had two four-wheel drive trucks (a MUST) ready to go and proved to be an excellent choice because of their customer service. (We had a truck burn a clutch halfway through the trip and they drove a replacement out to meet us in less than a day!) Renting two cars ensures that you will be able to drive out should something go wrong... because on the Altiplano, you do not want to break down without another way out. Also, there are no gas stations past Calama on our journey. So, we packed in all the gasoline, water, food, cooking equipment, field gear, and camping gear into the two trucks. Finally, while we were here, we had the opportunitty to meet with researchers from the Universidad Católica del Norte. These experts, who regularly work on the Altiplano, included our good friend - the one and only (and all around great guy) Dr (c) Benigno Godoy Neira. Ferraris, F.; Di Biase, F. 1978. Hoja Antofagasta. Instituto de Investigaciones Geológicas de Chile, Carta Geológica de Chile, No. 30, 48 p.
Borgoño, J.M., et al. Environ Health Perspect. 1977 August; 19 : 103–105. Boric, R.; Díaz, F.; Maksaev, V. 1990. 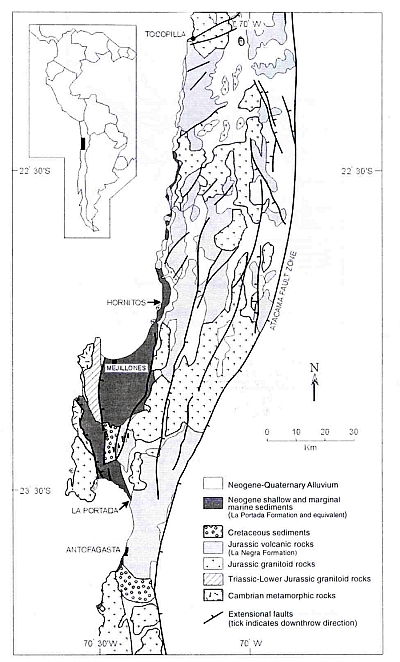 Geología y Yacimientos Metalíferos de la Región de Antofagasta. Servicio Nacional de Geología y Minería, Boletín, No. 40, 246 p.
Ortlieb, L. 1995. Late Quaternary coastal changes in northern Chile: fieldguide for International Geological Correlation Program Project 367, Late Quaternary records of Coastal Change, Annual Meeting, 1995. Orstom, 175 p. Antofagasta, Chile. Pérez-Carrera, A. and Cirelli, Alicia. 2010. Arsenic and Water Quality Challenges in South America in Water and Sustainability in Arid Regions, Part 3. SpringerLink Publishing, Netherlands. ISBN 978-90-481-2775-7. Shiki, T.; Yamazaki, T. 1996. Tsunami -induced conglomerates in Miocene upper bathyal deposits, Chita Peninsula, central Japan. 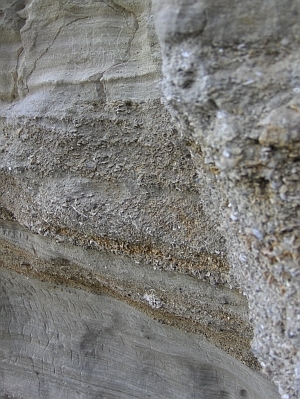 Sedimentary Geology, Vol. 104, p. 175-188. Vargas, G. et al., Aluviones históricos en Antofagasta y su relación con eventos El Niño/Oscilación del Sur, Rev. geol. Chile vol.27 n.2 Santiago Dec. 2000.